Spring is finially coloring my house inside (not to much on the outside) waiting for the lawn to dry up a bit so we can get out and rake up the mess old man winter left behind. handmade paper flowers are so fun to create I can't seem to stop.....on the bottom of this flower is a layer of tule....love it!!! 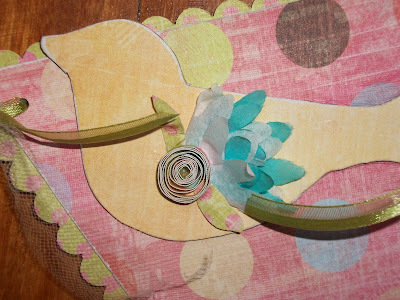 Next I created this bird from chipboard, a flower punch from a coffee flitter and glimmer misted!! 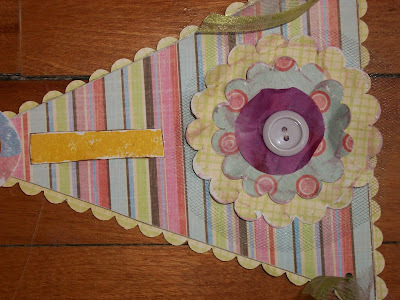 yummie color, I folded glued together to form a wing, and rolled matching paper for a little rose bud. 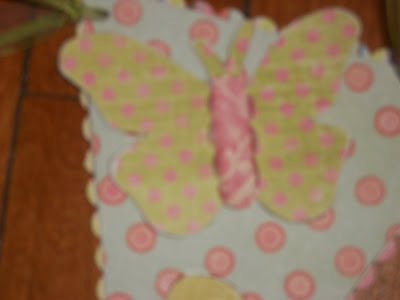 sorry way to blurry, I did the same with the butterfly as I did for the bird. Sorry for not very good pics of this Spring Banner, I had a hard time fitting it all in. 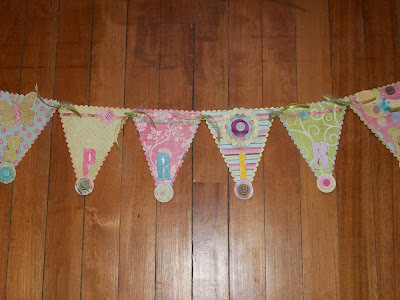 This banner matches my Easter Egg wall art in my last post. 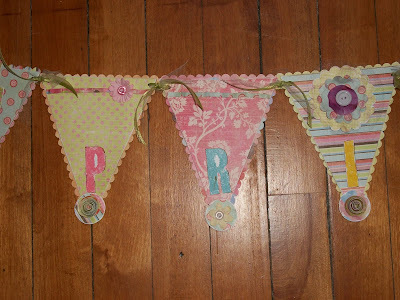 Can't believe that Easter is only two weekends away, boy it's really early this year, I am so happy my house is decorated ready......now on to making the Girls outfits for Easter. oh the beauty of it all!! !